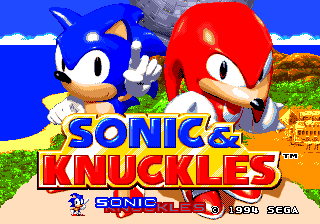 Sonic & Knuckles, released nine months after Sonic 3, concludes its story, acting as an equally-sized Part 2 of an epic fan favourite saga. The two share the exact same graphics and mechanics, and indeed, were designed and built at the same time, intended to be played as one giant game. 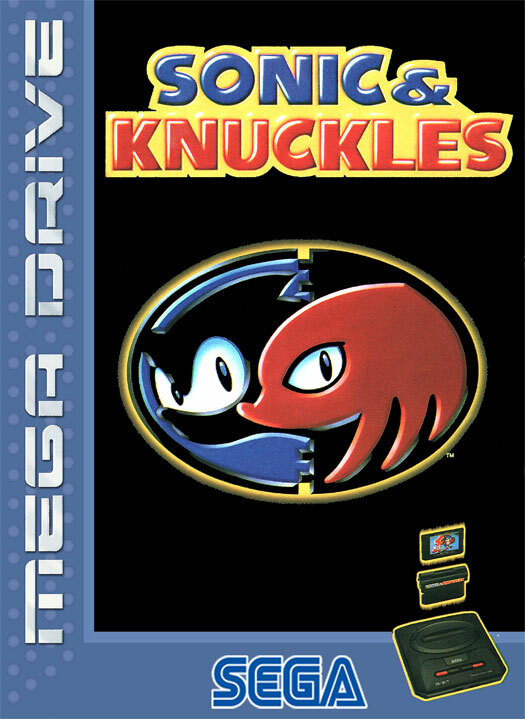 What it lacks in the fancy stuff such as a 2-player mode and save feature, it makes up for in the form of Knuckles the Echidna finally being a playable character, with his own unique moves and level routes. What's most significant about Sonic & Knuckles though is its unique lock-on technology. 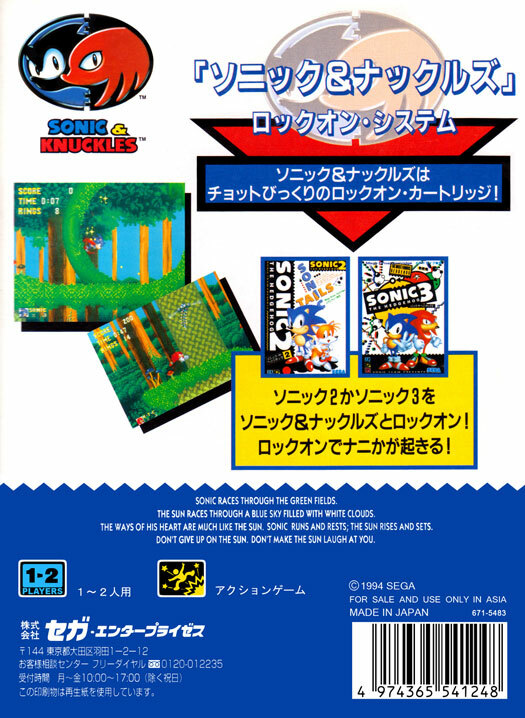 The original Mega Drive S&K game cartridge had another cartridge slot on top of it, allowing you to connect it with one of the previous games from the series and open up whole new features and gameplay, including the ability to play Sonic 3 and S&K as one complete, giant game! Just as God intended. As fun as Sonic 3 was, the fact that it contained only six levels and a fairly inconclusive ending, leaving a lot of questions unanswered, was enough for people to.. well, start asking questions. Namely "what happened to Knuckles? ", "how come I don't get to play as Knuckles? ", and, for those that still hadn't quite caught on yet, "what, Knuckles is a boy??" (yes, because of his dreads, some people initially thought he was a girl. I remember). Little did they know, however, that these questions would all be answered soon enough. Sonic 3 was originally designed to be quite a large game, eventually getting so large that it couldn't be squeezed onto a single Mega Drive cartridge, even with the aid of Yuji's trusty can of WD40. Compromises were made and it was decided that this particular chapter of Sonic's legacy should be the first, and (until Sonic 4 finally arrived sixteen years later) only to come in two parts, both being developed almost in unison with each other, which is why traces of S&K material, such as level names and music, can be found buried away in Sonic 3. This wacky idea allowed more levels between them, together creating the biggest, baddest Sonic game imaginable. Sonic 3 introduced Knuckles as Sonic's latest rival, giving rabid fans a taste of their new spiny ant-eating anti-hero, but denied access to the control over him. Just as they were about to rip their hair out in frustration, in swooped Sonic & Knuckles and the day was saved. 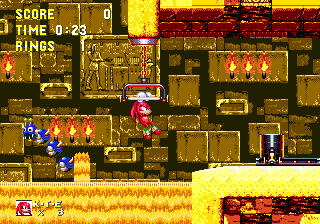 Players could choose between hedgehog and echidna (though not fox this time) to tackle the new levels on offer, and the two characters were designed to play in very different ways. Sonic may have had a little more speed and a higher jump, but Knuckles could glide and climb walls, and knock down otherwise impenetrable barriers with the mere flick of his wrist, allowing their journeys to differ via exclusive areas and routes specific to each character. 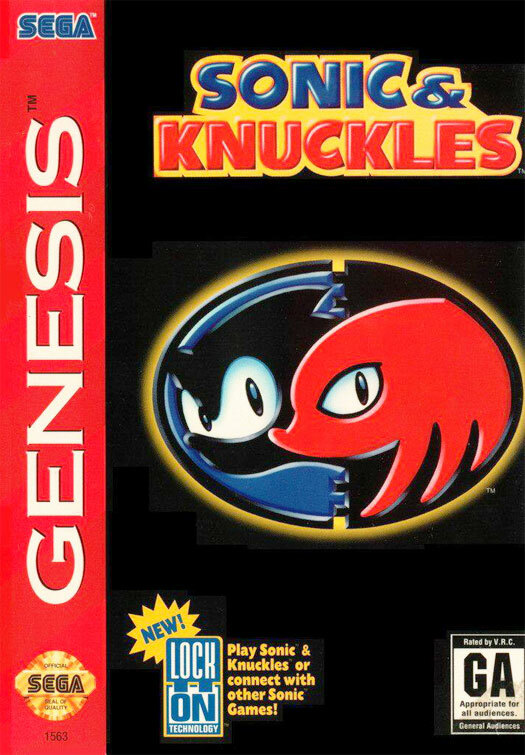 At some point along the way, someone had the biggest stroke of genius yet though, cementing Sonic & Knuckles as a very unique game, mostly for its cartridge. 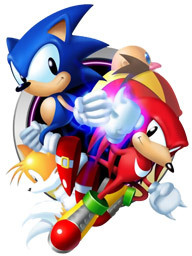 What about, they pondered, if we could connect Sonic 3 and Sonic & Knuckles together, so you can play the whole game from start to finish, as if it were actually one, complete adventure? Lock-on technology - not seen in any other game on the system or any other for that matter - was born! 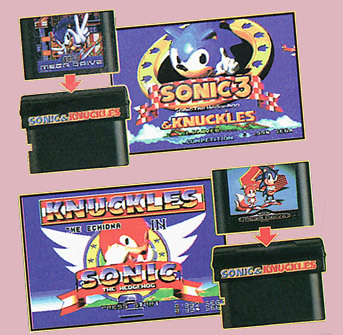 There was an opening slot on top of the unusually-shaped cartridge that allowed you to plug another cartridge into it, from which Sonic & Knuckles could take certain data and use it with some of its own to create a fusion of the two games. 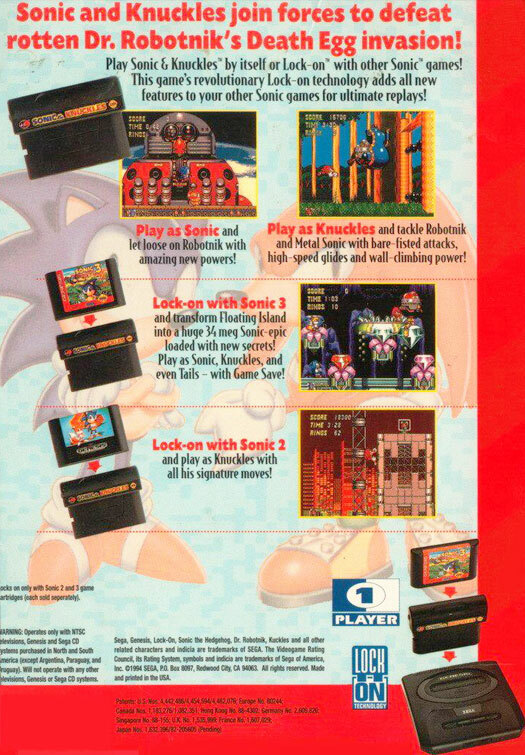 Sonic 1, 2 or 3 could be plugged in there to unlock what were - kind of - three whole new games! 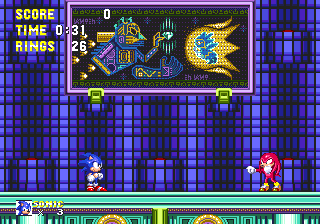 Cross-breed S&K with Sonic 2 for example and you can now play through the whole of Sonic 2 as Knuckles! 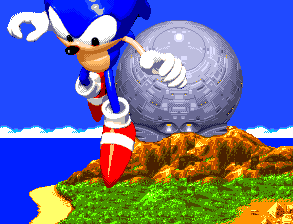 The age and wisdom of Sonic 1 made things a bit difficult, but it wasn't left out entirely, as plugging that game in allowed you access to a stupidly large amount of new automatically generated "Blue Sphere" Special Stages, as a bonus. 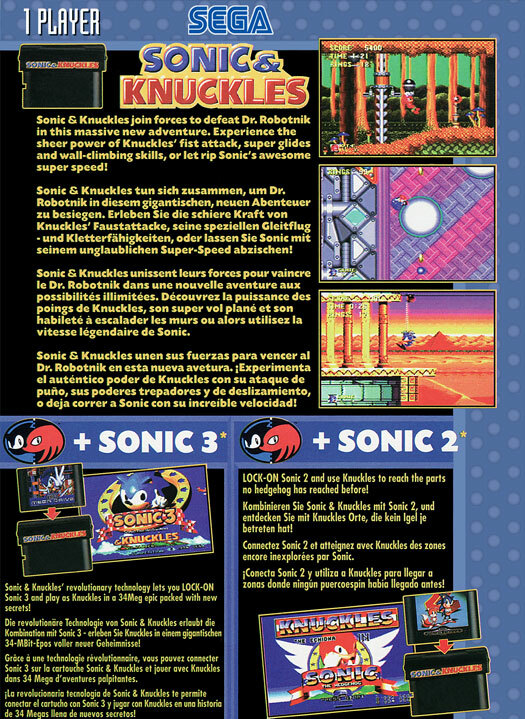 Most importantly though was the ultimate game - Sonic 3 locked on to Sonic & Knuckles to create "Sonic 3 & Knuckles". Like merging two large pieces of sacred stone broken in two, all of Sonic 3's features and levels were kept, and S&K's levels were added on seamlessly. Not just that, but all three characters were playable in almost any of the stages (that means Knux in Sonic 3 and Tails in S&K! ), and they could access new routes and get to places you had no idea even existed before, plus many exclusive scenes and other little surprises were bundled in too! At last, Sonic's third Mega Drive outing could be complete! The game shipped well in time for it to be in my 1994 Christmas stocking, though unlike other Mega Drive games, its unique shape meant that it had to come in a silly little card box, like the Nintendo games of old. Don't put any other game inside Sonic & Knuckles, besides Sonic's 1, 2 & 3. No: using any other game will simply generate a random Blue Sphere stage, so that was almost certainly not the reason that your console broke. I believe that the Blue Sphere game would not work with any secondary game that caused the total game size to go over 6MB. Sonic 3 and Knuckles totalled 4, which is amazing considering that modern games are several GIGABYTES. Note that you cannot put Sonic 1 with S&K, you will get the NO WAY! screen if you do so. @dinosaur202: The NO WAY! screen is just the start of the Blue Sphere minigame. You have to press A, B, and C simultaneously, and that will bring you to the stage select for Blue Sphere. Knuckles' journey through this game is somewhat different. It's speculated (though not necessarily confirmed) that it doesn't even take place during Sonic's, but after it. As Knuckles, you never encounter Sonic during the game, the Death Egg is no where to be found, (even in the exact same places where it can be seen in Sonic's version of the game), and Angel Island appears to be floating now, whereas it doesn't in Sonic's game until the very end. Knuckles, having now come to the the fairly-obvious-from-the-start realisation that Eggman is in fact, the bad guy, engages in what is basically a clean-up operation throughout Angel Island, ridding all the zones of any leftover badniks and Eggman material. In an opening scene before the first level begins, this quest is triggered by a surviving Eggrobo badnik from Sky Sanctuary Zone. With apparently above average intelligence, it takes it upon itself to take Knuckles out of the picture by dropping a bomb on him. Knuckles survives and engages in a long chase, fighting the Eggrobo in most bosses where Sonic would normally be fighting Eggman. The story culminates in the discovery that the Master Emerald has been stolen once again and only he can retrieve it before the island plummets back down to the sea without its power. Granted, it's not quite as compelling as Sonic's story, but Knuckles needs something to do, and perhaps Sonic Team were unsure about putting players in a situation where they must attack Sonic, the unquestionable hero of the adventure. As I've said, it's only really a theory that Knuckles' game doesn't coincide, or even have anything to do with Sonic's, but it makes sense given the evidence that can be spotted along the way. In Sonic 3, after defeating "Big Arms" the Death Egg, blows up. In Sonic 3 & Knuckles, after defeating the last boss in Launch Base Zone, the Death Egg just falls. The second thing who have you writted is WRONG. the death egg, just land on an active volcano. (Lava Reef Zone). it can be seen in the background of act 1 and 2. 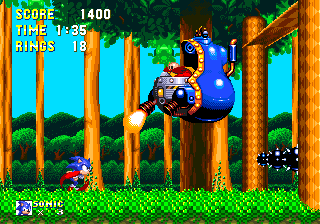 In what is likely a graphics oversight (and not a subtle hint), note that in Knuckles' game, Eggman's sprite has not been changed for the boss battle of Flying Battery Act II. With Sonic 3 having kicked off the commotion, it was the duty of Sonic & Knuckles to finish it. The two are very similar, and while it would have benefited from its own save feature while playing it alone, it's still a slice of Sonic heaven, and merges very well with Sonic 3 to create one, giant game. Levels maintain the same degree of excellence, and perhaps even surpass their predecessors in some areas, with a very grand, epic feel to the later stages and story scenes. Knuckles the Echidna was a very welcome addition to the then small list of playable characters in the equally small Sonic universe, with enough unique gameplay features about him to make his game feel like a new experience, though one that was nonetheless still unquestionably Sonic. The real beauty part of S&K, as I've already stated, is its lock-on feature, which virtually (by which I mean, "sort of") opened up three additional games, in themselves. Nevertheless, the fact that new characters could be playable in previous levels, opening up their own routes and hidden areas created a goldmine in longevity, not to mention a crafty reason to "collect them all", for the sake of SEGA's wallet. A really cleverly conceived, cleverly made treat for the fans. 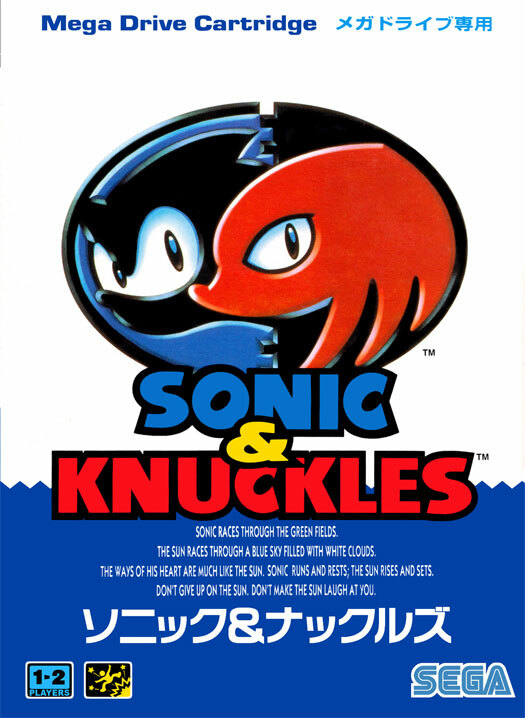 As Sonic's final instalment of the original series (on the Mega Drive at least), which most long-time fans would frequently call his finest series, Sonic & Knuckles did an excellent job of keeping us busy, as the following Sonic games began to tumble into the sidelines somewhat, during the "dark era" of the mid to late nineties. In my own humble opinion, when left alone, Sonic 3 and Sonic & Knuckles are both a short way below the best in the series. When you combine the two, however, the resulting fusion creates not only the best Sonic game ever created, but the best game ever created. Definitely some of the most well designed levels I've ever played, and positively brimming with pure fun and life, and a classic, epic story to boot. This may be as good as it ever gets, and frankly that is just fine with me. Sonic 3&K is such a good game and I wish SEGA would go back to it to create the new games. Gotta say, despite moving away from the norm, S&K's title screen was a little epic. The way it had that quick musical build up while watching the Death Egg, finally the whole Death Egg, crash into the island and Sonic - so big on screen - landing... was pretty awesome. There's A Level Select Code On The Levers In Mushroom hill zone Do This Code On The U,U,U,L,L,L,R,R,R Youll Hear A Ring Chime. Press Start Then A Hold A And Press Start Boom! Level Select. I would like to think that Doomsday zone's final boss is unfair. A giant git against Sonic?! That's really unfair!